Last updated 15 October 2018 . By Olivia Cheves. The interiors of 1251 are remarkably plain. Sparse and simple, it bears more similarity to a hospital waiting room than one of the most talked about spots on Upper Street, but this highly acclaimed endeavour from Whitstable-raised, Scottish-Vincentian chef James Cochran, is anything but plain. Boasting a menu as tantalising as it is peculiar in parts, we wasted no time in heading down to see if this spot from the Ledbury alum lives up to the fanfare. 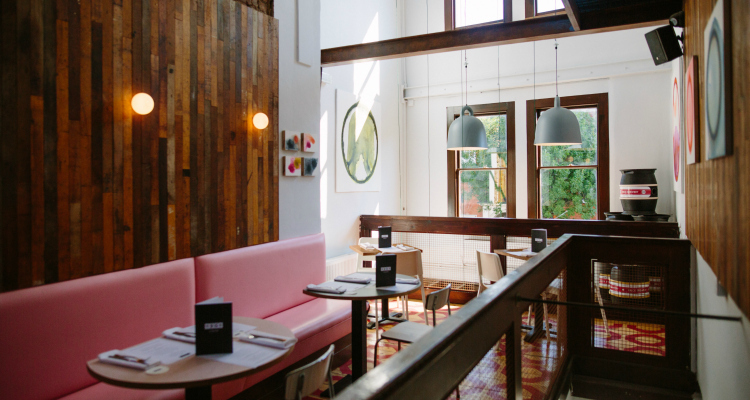 Slick, simple interiors offers a fitting backdrop to Cochran's vibrant menu. We’re off to a strong start with the white Devon crab tartlet (£6), an elegant little dish that would not look out of place in the window of a French patisserie. With a crown of brown crab butter this delightful appetiser has as much of the intricate bonne bouche about it as it does the spine-melting warmth of home-cooked comfort food. The same can be said for the buttermilk rabbit (£7.50). With a crispy coating and soft centre, these juicy bits of bunny have been dressed up to the nines with tarragon, horseradish and dollops of pickled plum and prove more finger-licking than a punnet of popcorn chicken. The confit cauliflower (£4.5) offers the most curious plate so far: a doorstop of charred cauliflower comes served with a pile of chopped walnuts and a few squirts of fermented bagna cauda. I’ll make no secret of the fact that the bagna cauda is the real MVP here. An Italian sauce made from butter, anchovies and garlic, it serves to elevate an otherwise undemonstrative dish to viciously flavoursome heights. It seems a real talent of Cochran’s to pull glamour from even the frumpiest ingredients. Take, for instance, the humble spud, from which Cochran somehow manages to manifest the ‘potato spaghetti’ (£13). Less spaghetti, more a pair of reconstituted potato cakes, they come submerged in a rich burnt butter sauce and topped with delicate shavings of cured egg yolk. It’s simple yet decadent, the kind of dish you’d want to whip up a vat of on a rainy evening had you the time, or indeed the talent. 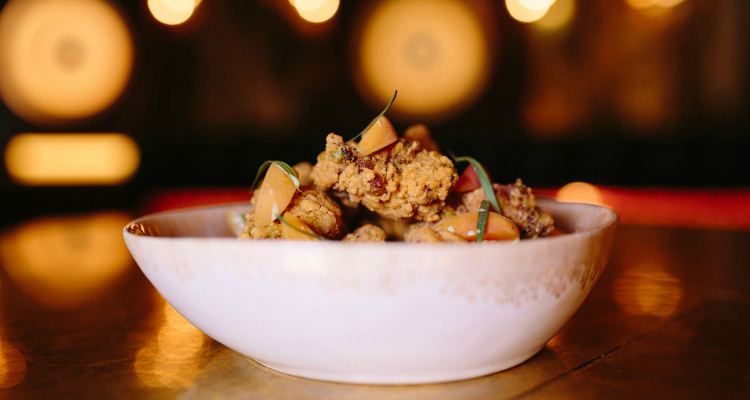 The dishes such as the buttermilk fried rabbit offer familiarity and novelty in equal measure. When the Kent breed pork (£16) arrives I’m starting to question whether Cochran hasn’t made some deal with the devil for this level of finesse. A fat square of soft belly pork basking in an eel jus, every element of this dish speaks of my eternal damnation. Incorporating miso, blood pudding and a vibrant turnip kimchi into into its midsts, the meat does more than just melt in the mouth, it luxuriates there, forming an umami-laden gel across your teeth and tongue. Dessert finds us plunging forks into the salted caramel ice cream sandwich (£10). 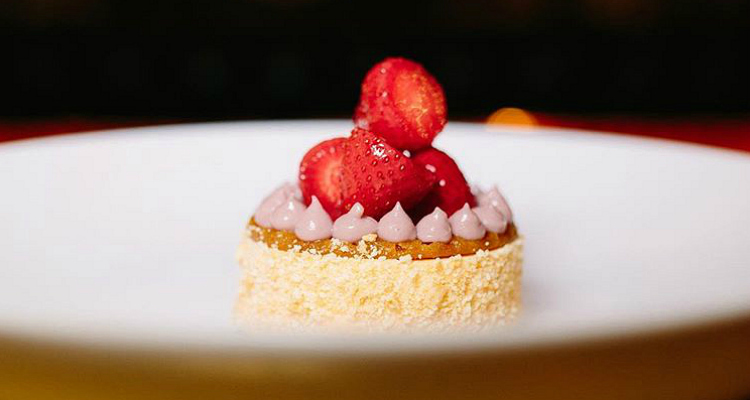 Heaped with strawberry sauce, white chocolate and crushed peanuts it’s a suitably seductive end to this meal that offers as much in the way of awe as it does in allure. There's no shortage of indulgence at this Islington hotspot. Feisty, indulgent and fascinating, I’d argue that Cochran’s food is setting the bar for contemporary British cuisine. As playful as it is intelligent, at 1251 you’ll find comforting flavours in the most exotic and alien combinations.